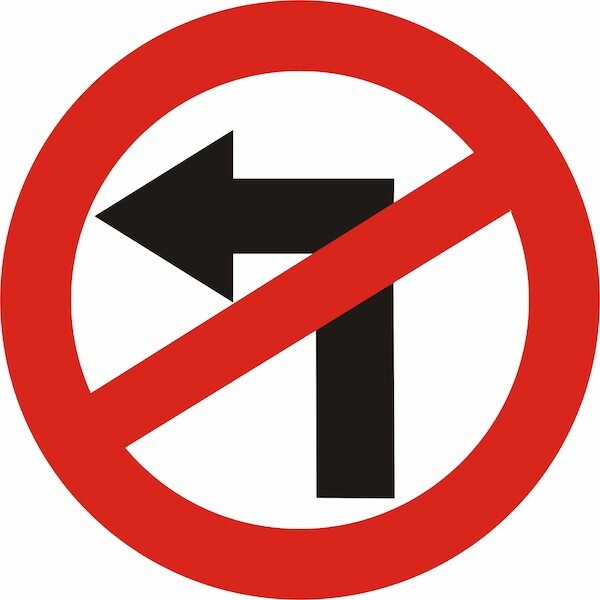 According to a study done by the National Highway Traffic Safety Association, turning left is one of the leading "critical pre-crash events" (an event that made a collision inevitable), occurring in 22.2 percent of crashes, as opposed to 1.2 percent for right turns. About 61 percent of crashes that happen while turning or crossing an intersection involve left turns, as opposed to just 3.1 percent involving right turns. Vehicles involved in left-turn collisions often make head-on or T-bone impacts, which can cause serious injuries to both vehicles and their passengers. Left turns are one of the most serious types of car accidents. While left-turn collisions affect drivers equally, the damage done to a motorcyclist or bicyclist in one of this type of accident can be especially serious, and possibly fatal. 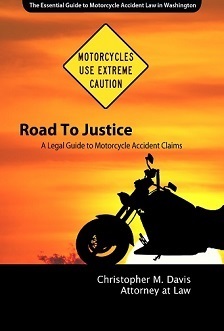 Drivers may misjudge how close the motorcyclist is to them. They may not know how to account for the motorcycle’s smaller size, or may not be looking for a motorcycle at all. These are not excuses, and far too often cause devastating crashes. Motorcycles and bicycles traveling at a high rate of speed may not be able to slow down in time to avoid a collision with a driver turning left. Motorcyclists and bicyclists may suffer injuries from the impact with the vehicle itself, or from being thrown over the handlebars and into oncoming traffic. Drivers making left-hand turns must also wait for pedestrians and bicyclists to safely cross the street before proceeding with the turn. A failure to do so can be catastrophic for pedestrians, as they are not afforded the same safety luxuries as people in motor vehicles. Research done by New York City’s transportation planners found that left turns are three times more likely to kill pedestrians than right ones. Left-hand semi-truck accidents occur when a driver attempts to make it across traffic, but the entire body of the vehicle doesn’t make it across before traffic reaches it. It may be difficult or impossible for traffic to slow down, especially at high speeds. Because of the dangers outlined above, some trucking companies have outlawed or strongly discouraged their drivers to make left turns. For example, UPS has a policy against left-hand turns, a policy driven by a goal of improving fuel and delivery efficiency. UPS’s policy also undeniably makes our roads safer. The policy of “favoring right-hand turns at all times – unless a left is unavoidable” eliminates many situations that might have turned fatal. Is the Left-Turn Driver Always At Fault? A car making a left-hand turn is almost always found at fault for the resulting accident. The vehicle driving straight in their lane will almost always have the right-of-way when going through an intersection. It’s basic traffic laws: the driver turning left at a green light must wait until all oncoming traffic is gone or far enough away to safely complete the turn. There are no exceptions to this — oncoming traffic does not have to slow down or stop for left-turning drivers. The car driving straight was speeding while going through the intersection: If there is no video or witnesses to prove this fact, it is the left-hand turn driver’s word against the other. Convincing the police, insurance company, or a possible jury that the other driver was speeding can be difficult. The car driving straight ran a red light or stop sign: These actions are in violation of traffic laws, and the left-hand turn driver will likely not be held liable for the accident. Unforeseen circumstances delay the turn, causing a crash: For example, if an animal or pedestrian darts into the road, delaying the left turn, the other driver may be held responsible for the crash. After any kind of motor vehicle accident, you are encouraged to seek the counsel of an experienced car accident lawyer who can determine if you have a claim for compensation. Attorney Chris Davis has the expertise and negotiating skills to settle cases swiftly and favorably, and has a 24-year track record of significant recoveries for his clients. Mr. Davis and the legal team at Davis Law Group, P.S., operate on a contingency fee basis, meaning you don’t pay anything unless they win or settle your claim. To learn more about your legal options, we invite you to schedule a free case evaluation today. Contact us at (206) 727-4000, by using the chat feature below or using the form on the contact page.